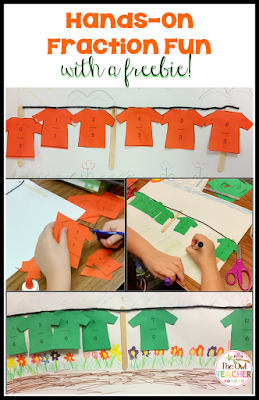 I absolutely love to make math hands-on. It's especially beneficial when you can relate it to something they are familiar with. I believe we call this connections when we are in reading. It's the same thing! One way that I try to help students grasp the size of fractions is by discussing benchmarks such as zero, one, and half. Then I provide students with fractions that they need to place on a number line by deciding which benchmarks it is likely between. Since fractions are such a difficult and abstract concept to many students (and sadly, turns them off to math in general), I try to bring it down to their level by using concrete materials... Thus, the math clothesline was born! I provide each student with a piece of string, a popsicle stick, and some t-shirts to cut out. I differentiate my t-shirts based on my students' needs. Some students definitely grasped the zero to one fractions so I provided them with fractions over one. Some students were provided with fractions that all had the same denominator, while others had different denominators. Students then cut out their fractions and glued them on their number line based on where it went. You can download the t-shirts to use in your classroom and have fun with this activity. Another option is to download the t-shirts and print them on color paper. Then laminate them and place it in a center for students to use or practice with. 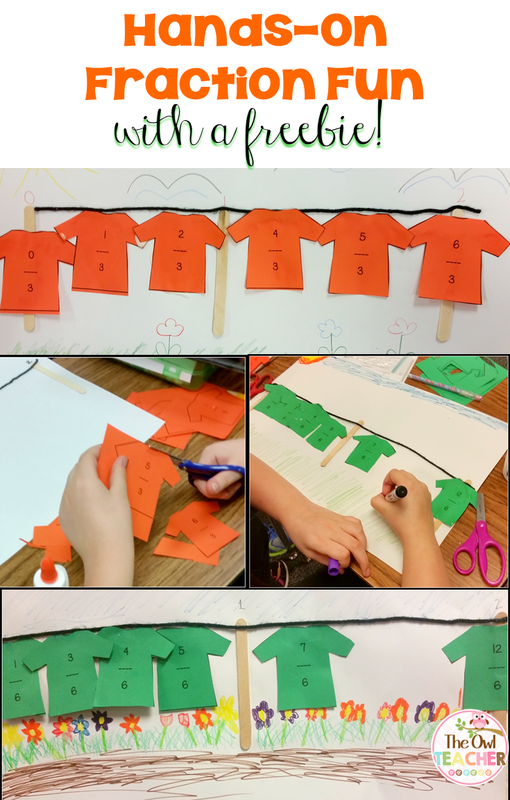 You can head over to my blog by clicking here to download this fun and engaging fraction activity!